July 6th, 2017 By: GGT Category: 2017/09 release, Figure News. 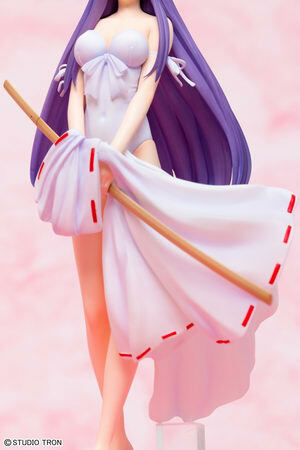 Grand Toys (Griffon Enterprises) is going to release the Yamigumo Nami ( 闇雲那魅 ) Swimwear Miko Ver. ( 水着巫女ver.) 1/7 PVC figure from the classic manga/anime “Silent Möbius” ( サイレントメビウス ). Will be released in September 2017, 12,800 yen. Castoffable.